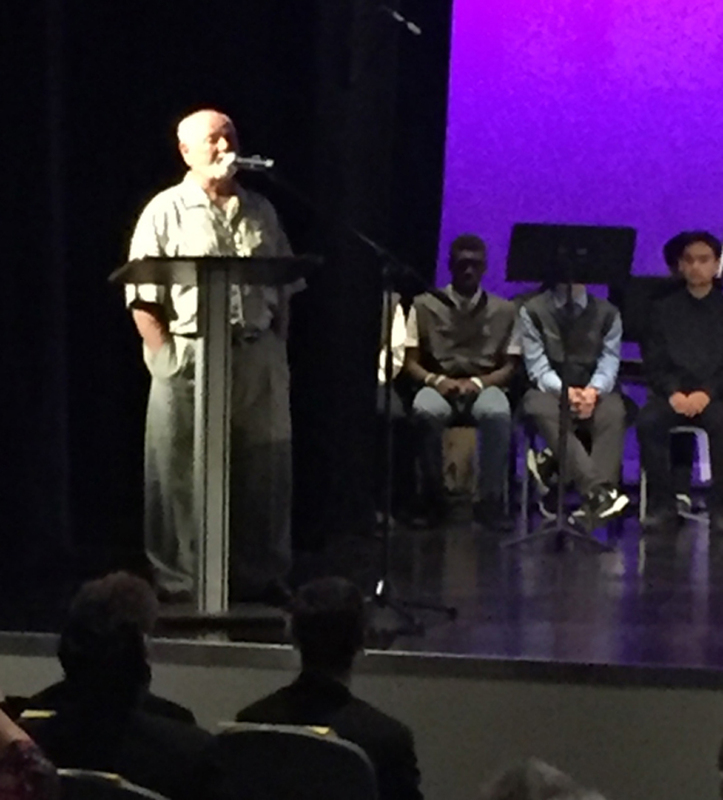 Providing Catholic education to young men in San Diego for almost one hundred years Saint Augustine High School has undergone a significant re-building and renovation of the campus in the past few years. 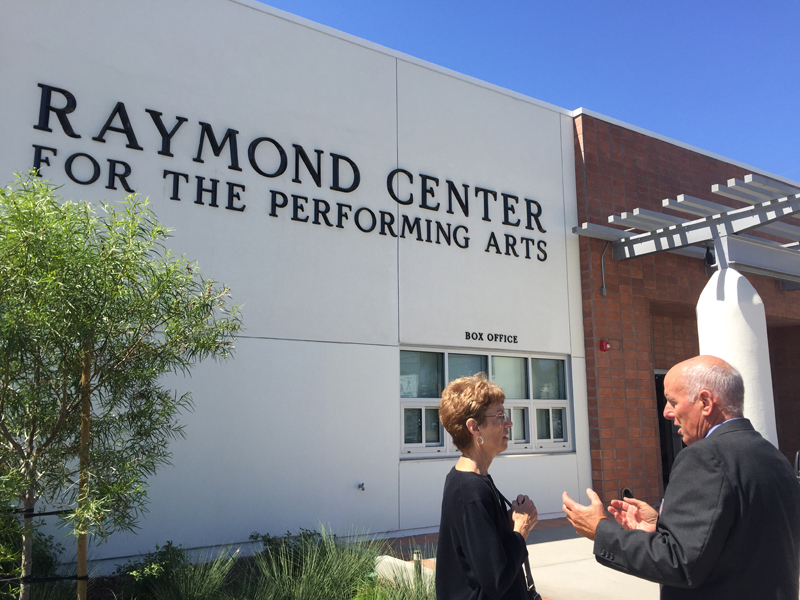 The final piece was the transformation of the Dougherty Gymnasium into the Raymond Center for the Performing Arts. 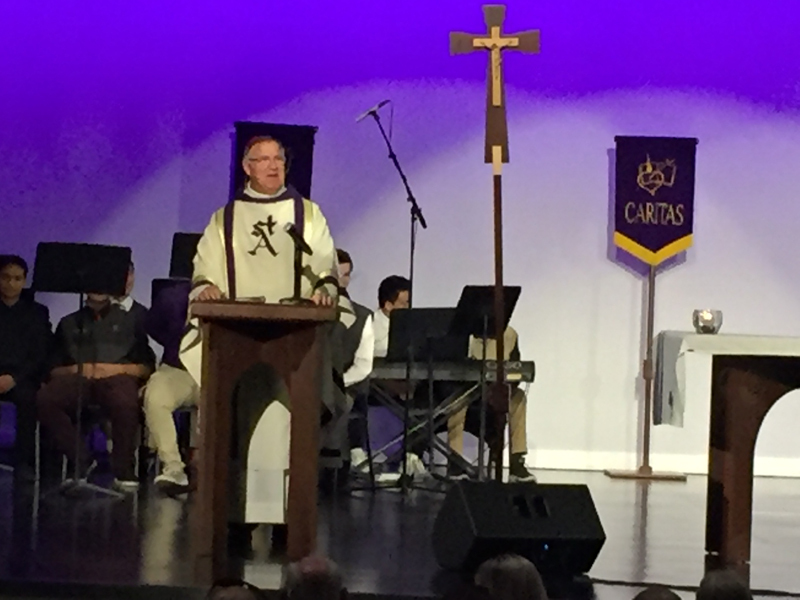 The Menard Family Foundation has sponsored a student at Saints for a number of years and directors Marlene Miller and Barbara Menard represented the Foundation at the Dedication Mass on September 12, 2018. 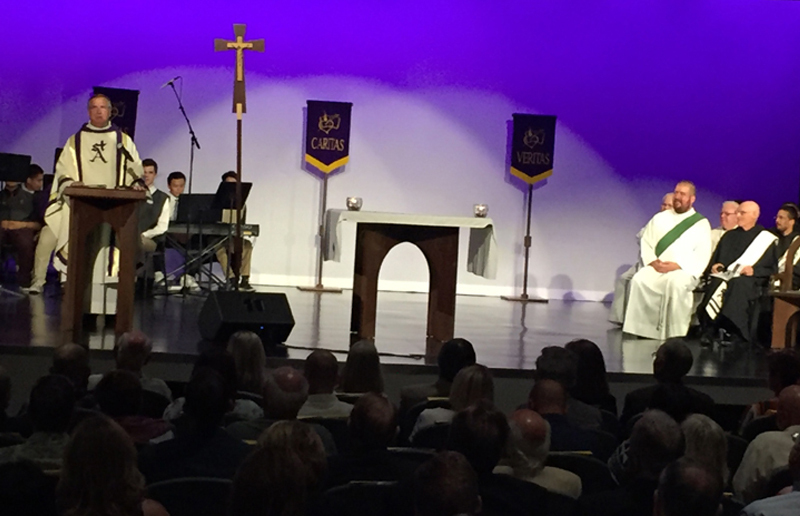 The Presider at Mass was Most Reverend John Dolan, Auxiliary Bishop of San Diego with a number of concelebrants including Very Reverend Kevin Mullins, OSA, Prior Provincial, Province of St. Augustine of the Augustinian priests and brothers in California. 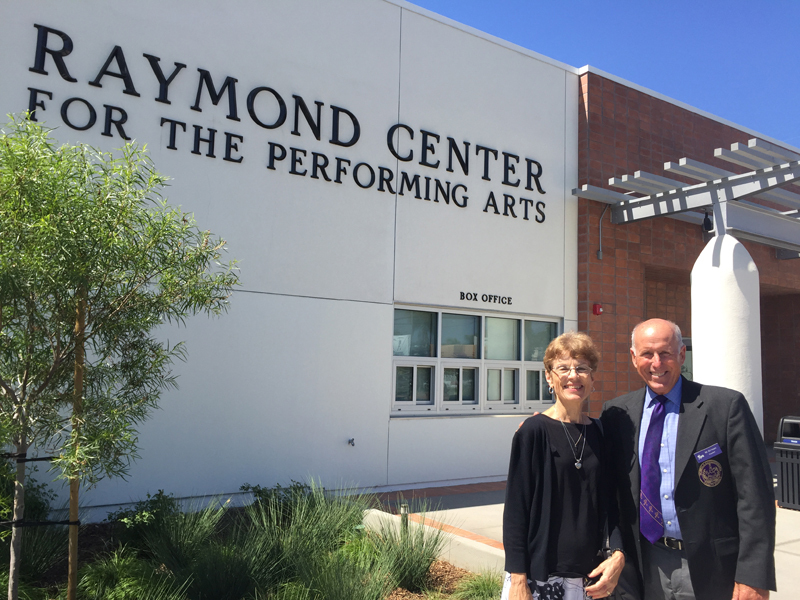 The Raymond Center for the Performing Arts was made possible through the generosity of Ron Raymond, class of 1964, and his wife Sue. 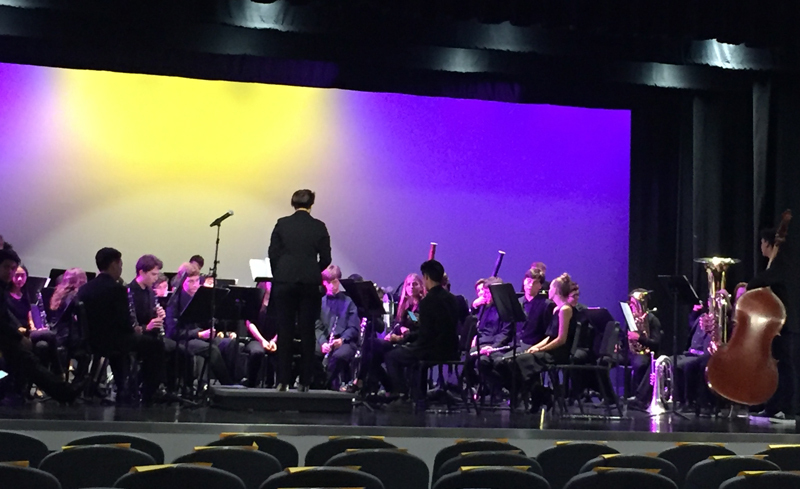 Quoting the program for the event: “During his time at Saints, Ron was a talented musician whose ambition was to establish the advancement of the arts at St. Augustine High School.” Engineers determined that the Dougherty Gymnasium, named for Augustinian Provincial, Fr. Joseph Dougherty who authorized its construction in 1950, was structurally sound and it was decided rather than tearing down the gym it would be transformed. The Dougherty Gym has been “multi-purposed beyond anyone’s imagination. 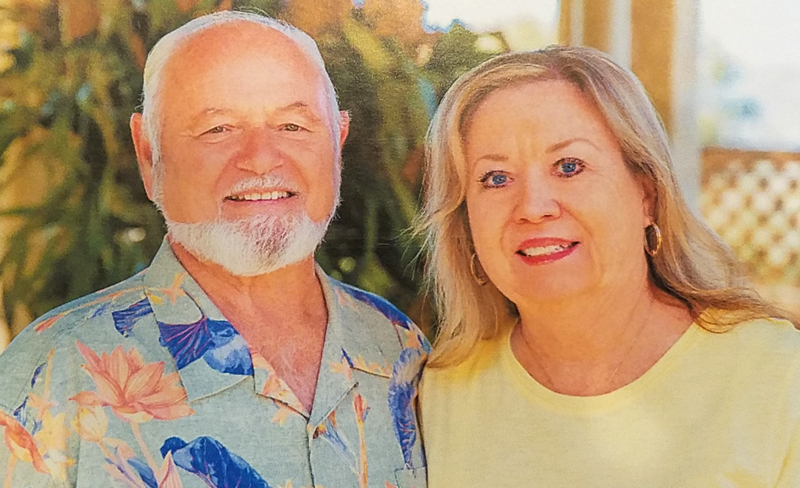 It has been the center for the Saints community to gather.” It has been used for Mass, plays, concerts, receptions, graduations, community events, and weekly “mixers” that both Marlene and Barbara attended while in high school. It also served as a temporary morgue for those who lost their lives in the tragic PSA crash in 1978. It is most fitting that the Dougherty Gym that has nobly served Saint’s many needs would be repurposed, rejuvenated and renovated becoming the Raymond Center for Performing Arts and will continue to serve the Saints and greater community as it has done for over 60 years.